The Centurion portable dialysis water treat-ment system from AmeriWater has been FDA cleared, officially certifying the single- patient unit for use in medical facilities or at home. 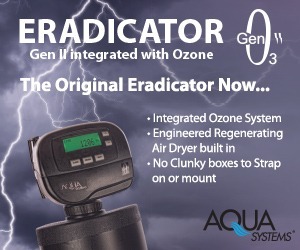 The unique, integrated heat disinfec-tion design of the Centurion disinfects the entire unit in a single step, including the membrane and the delivery lines up to the inlet of the dialysis machine. 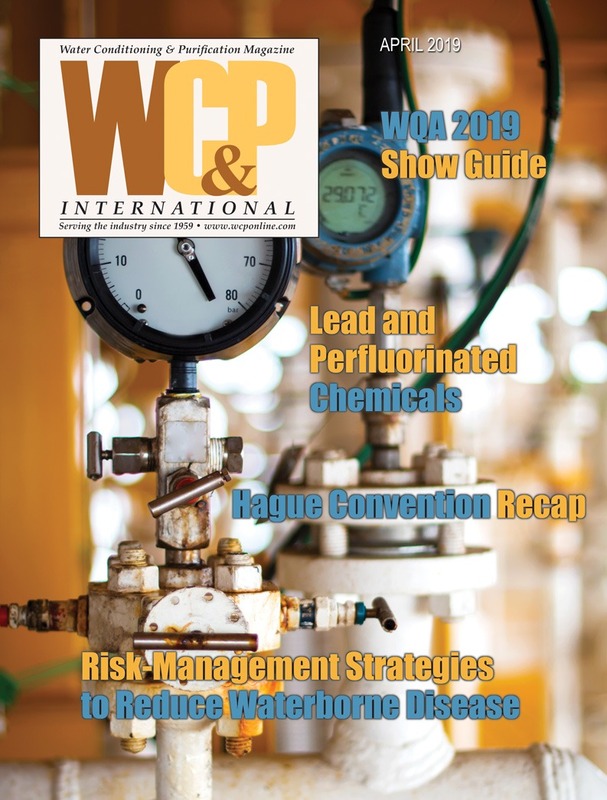 Citing the charity’s efforts to solve one of humankind’s fundamental challenges, the Water Quality Association (WQA) announced its official endorsement of the Wishing Well International Foundation (WWIF). 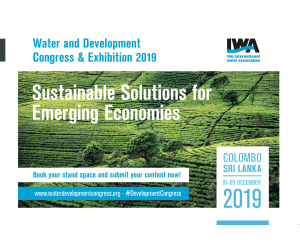 WWIF strives to bring clean, safe drinking water to developing areas of the world, while reducing mortality and disease through improvements in sanitation and hygiene. 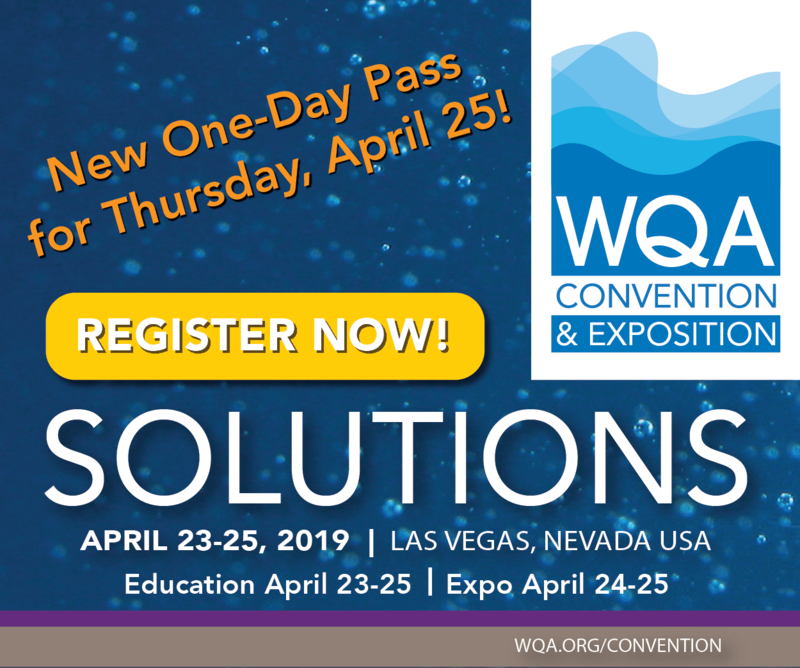 WWIF is an allied member of WQA and its leadership team (Guillermo Guzman, H2O International Inc.; Denise Heskett-Al-Kharusy, CWS-VI and Issa Al-Kharusy, KDF Fluid Treatment Inc. and Kurt C. Peterson, WC&P International) boasts many decades of combined membership in the association. The endorsement of WWIF is based on the alignment of shared missions and does not include a financial commitment. 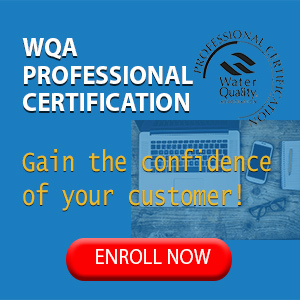 WQA’s own fund-raising will continue to be directed toward its independent research arm, the Water Quality Research Foundation. Darlly Filter, LLC announced the opening of its US facility in Chino, CA, where the company will be stocking and distributing products. This will allow the company to support its industrial, residential and commercial customers in the western hemisphere. 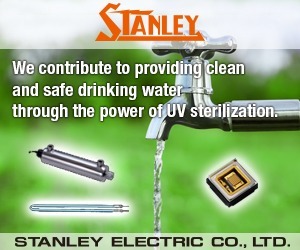 Products include, pleated filters, string-wound, industrial poly-depth and more. Nelsen Corporation announced the groundbreaking and construction of a 11,500-square-foot addition to its main warehouse at the company’s Ohio headquarters. The expanded facility will help accommodate the needs of the ever-growing company and alleviate the need for current off-site storage, as well as expanding the production and assembly capabilities of Nelsen Engineered Systems. It will also become an additional production location for the Nelsen commercial RO systems. The groundbreaking follows a 12,000-square-foot warehouse addition in 2002, and the 2013 opening of the 24,000-square-foot Texas warehouse and production facility to serve the south central region. Superior Manufacturing Corporation, Fort Wayne, IN, is celebrating its golden anniversary year. The company’s chemical-free Superior Water Conditioner® has been utilized since 1964 to prevent scale and corrosion in over 400 different types of applications. With hundreds of thousands of successful installations throughout the residential, commercial and industrial markets around the globe, Superior Manufacturing is most grateful for the dedication of their long-standing domestic and foreign distributors, dealers and sales representatives. 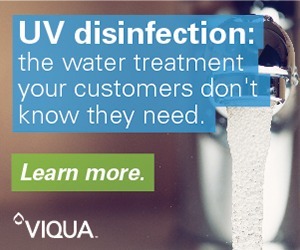 To learn more about Superior, visit www.superiorwaterconditioners.com or call (800) 248-0999. IDE Technologies was named as the Global Water Awards category winner of the Desalination Plant of the Year, Sorek, constructed in partnership with Hutchison Water International Holdings Pte. Limited. Sorek is the world’s largest and most advanced SWRO desalination plant. The award recognizes the plant as the most impressive technical and ecologically sustainable achievement in the industry. IDE also received a distinction award in the category of Desalination Company of the Year. 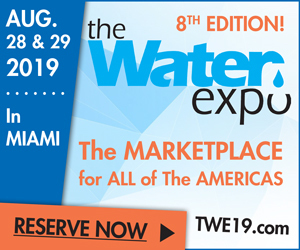 The Global Water Awards honor achievements in the global water industry in categories including Desalination Company of the Year, Desalination Plant of the Year and Desalination Deal of the Year. EcoWater Systems® announced the expansion of its commercial business product line through the acquisition of the Controlled Hydrodynamic Cavitation (CHC) technology and operations from VRTX Technologies of Schertz, TX. For more than 15 years, VRTX Technologies has been a world leader in CHC chemical-free water treatment of cooling towers and evaporative condensers used in government buildings, hospitals, schools, chilled water plants, manufacturing facilities, cold-storage warehouses, casinos and data centers. Production of CHC technology systems will continue to take place in Schertz and plans are underway to transition the systems to the EcoWater brand. Industry partners, including USA Swimming and the National Swimming Pool Foundation, are collaborating on a summer-long campaign called SwimToday, led by five-time Olympian and 12-time medalist, Dara Torres. The campaign is endorsed and supported by 10 leading swimming industry partners, including membership organizations, coaches associations, swimsuit and equipment manufacturers, swimming media and technology partners. The ‘Funnest Sport’ campaign will also address common misconceptions about the sport, encouraging more parents to consider swimming as a youth sport option for their children. US Masters Swimming and Life Time–The Healthy Way of Life Company announced their partnership to expand adult swimming programs in place at 76 Life Time Fitness and Life Time Athletic premiere sports, professional fitness, family recreation and spa destinations. The expansion will bring USMS-sanctioned adult Masters Swimming® programs, led by certified USMS coaches, to Life Time Swim locations across the nation. Adults swimming in the program will be eligible to swim at all USMS-sanctioned events, giving thousands of swimmers the option to compete. As an added benefit, USMS members holding a Life Time membership will receive a complimentary month of Life Time’s Masters Swimming programming. During Water Week 2014, Danfoss joined other manufacturers and solutions providers, industry associations and non-profit organizations on Capitol Hill to discuss perspectives and solutions as well as challenges and opportunities in US water and wastewater sectors. 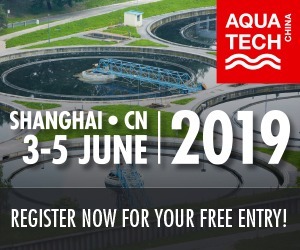 The company showcased its high efficiency, readily available variable-frequency drive technology as a viable solution for energy-intensive water and wastewater treatment processes. 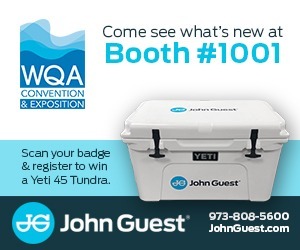 The one-day Water Infrastructure & Innovation Expo was hosted by Water Environment Federation (WEF) as part of the National Water Policy Forum & Fly-in, Water Week’s anchor event hosted by The National Association of Clean Water Agencies (NACWA), WEF and Water Environment Research Foundation (WERF). US EPA announced seven winning student teams for its People, Prosperity and the Planet (P3) phase II awards for innovative and sustainable designs to help solve today’s complex environmental problems. The program challenges student teams to create designs for a sustainable future, while offering quality hands-on experience that brings science, technology, engineering and math classroom learning to life. This year’s winners were selected from 35 competing teams following two days of judging by a panel of national experts convened by the American Association for the Advancement of Science. Each award-winning team is recommended for a grant of up to $90,000 (USD) to further develop their design, apply it to real-world situations and bring it to the marketplace. Winners included Cornell University (NY) for designing a low-cost monitor for measuring water quality and SUNY Stony Brook (NY) for designing and building Poseidon, an ocean energy harvester that converts wave motion into electrical energy. 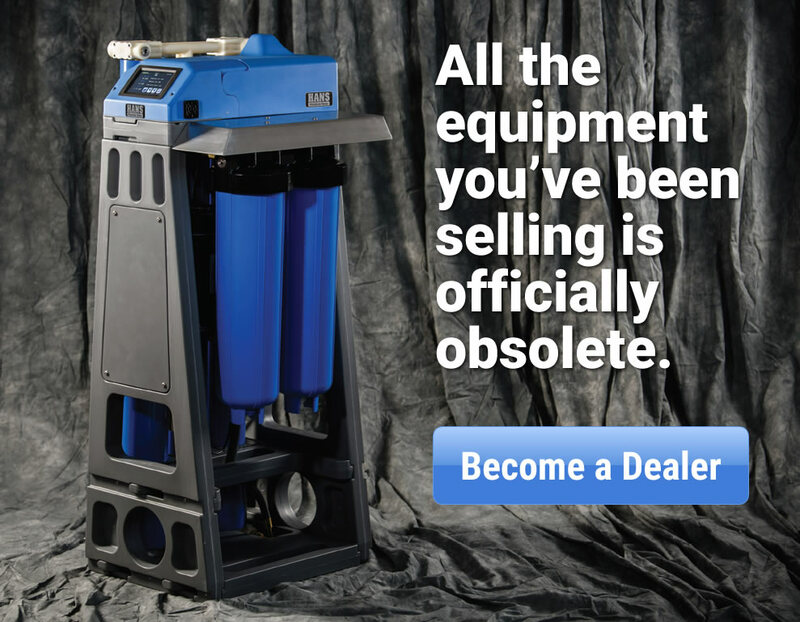 Quench USA announced the acquisition of Macke Water Systems of Wheeling, IL, a pioneer and major player in the commercial drinking water and office coffee services industry for more than 25 years, with operations in 13 states and customers across the Midwest, Mid-Atlantic, South and West. With this acquisition, Quench will increase its leadership position in major markets. By increasing its customer base by a third, this combination leverages the company’s critical mass as the first national operator in the highly fragmented filtered water cooler and ice machine industry. Dow has garnered a prestigious Edison Award for FILMTEC ECO Elements in the Energy/Sustainability and Commercial Resource Management category. The judging committee recognized FILMTEC ECO Technology for its ability to significantly reduce energy required to remove impurities from water. The Edison Awards have recognized and honored some of the most innovative products and business leaders in the world and are among the most prestigious accolades honoring excellence in new product and service development, marketing, design and innovation. Hydro International has been recognized with the Exporter of the Year Award, International Trade and Investment Awards by the Maine International Trade Center (MITC), which is given to a manufacturer that has demonstrated an ongoing commitment to international trade through increased exports. Hydro’s initial focus for Central and South America has been to develop strong working relationships with specialist distributors. The company recently signed a partnership agreement with the Soluciones Hidropluviales of Mexico City. In Mexico, Hydro’s technologies provide solutions to mitigate the country’s water scarcity problems through rainwater reuse and recycling. According to Zenith International, UK consumption of all bottled water drinks rose by 10.1 percent in 2013 to 2,770 million liters, with a retail value of £2.3 million ($3.88 million USD). Volumes are now 50 times the level of 30 years ago and represent 19 percent of all soft drinks consumed. Plain bottled water sales volume in retail pack sizes jumped by 11.6 percent to 2,090 million liters, the highest rate of growth for 10 years. Flavored, functional and juicy ‘water plus’ drinks rose 8.3 percent to 410 million liters. Bottled water cooler sales improved by 1.8 percent to 270 million liters after several years of decline. Aquionics’ PearlSense T254 transmittance monitor has taken first prize in an innovation competition run by parent company, Halma plc. The award recognizes technology advancements made by Halma subsidiaries that have a significant impact on the company’s success. The Innovation Awards stem from Halma’s belief that encouraging continual improvement and unique ideas are key factors in its prosperity. Innovation drives organic growth in its subsidiaries and differentiates them from their competitors. The awards committee looks for creative new ways of doing things to improve a company’s products or operations and rewards companies with the determination to bring them to fruition. HaloSource renewed its membership in the London Social Stock Exchange (SSE), a London-based platform which showcases businesses having a social impact on potential investors. The aim of the SSE is to provide potential stakeholders with information they need to identify and compare those organizations that deliver value to society and the environment. In addition, HaloSource supports several social-impact programs with partnerships, including the Barefoot Mile Foundation, Wishing Well International Foundation and most recently, with a World Water Day celebration in conjunction with 21Acres. ProCleanse LLC’s patent-pending POU Water Filtration System is the first to meet WHO’s Household Water Treatment (HWT) ‘highly protective’ and ‘protective’ specifications for removing bacteria, protozoa and viruses and was named one of 28 US exemplary water technologies, and one of the six most innovative. The product is currently undergoing field testing in Ghana under the auspices of World Vision, International Water and Sanitation Centre (IRC) and other agencies. 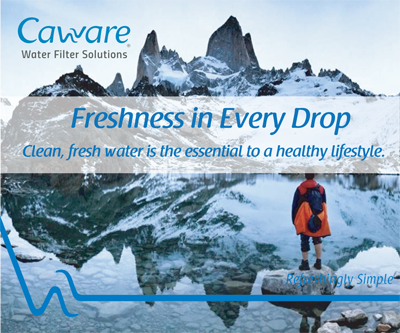 It produces safe drinking water on the first day of use without the need for frequent maintenance, chemical additions, component replacement or other drawbacks associated with alternative products. The system utilizes a proprietary blend of porous ceramic particles that trap and neutralize contaminants through an ion exchange process. It processes enough water to support a family of six, includes built-in safe water storage and lasts for 10 years.